Summer is a great time to add fresh tropical fruits to your meals. I love mango added to anything- smoothies, salads, and meat. I love recipes like this that are summery, sweet, easy, and healthy. The recipe listed below is great alone or served on top of a piece of lean protein like grilled chicken or fish. Yummy! 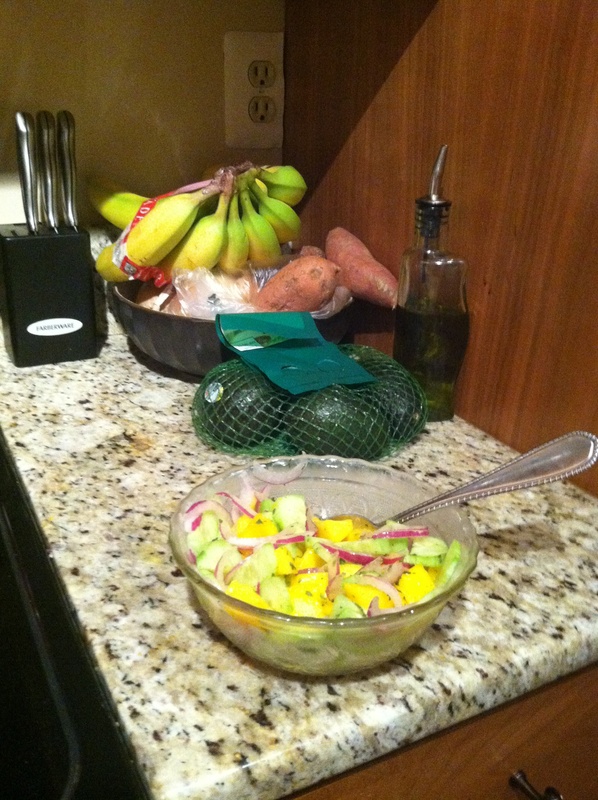 Place cucumber, mango, and red onion in a bowl. Season to taste with lime juice and salt. Garnish with fresh parsley.